2009-2011 Honda Rincon TRX680FA Rear Brake Pads Severe Duty $15.95 with Free Shipping! 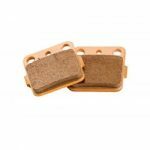 Brand new Race-Driven Severe Duty Sintered Metal brake pads fits the following models: 2009 2010 2011 HONDA TRX680FA Fourtrax Rincon. You will receive 1 set of pads, enough to replace the rear caliper. 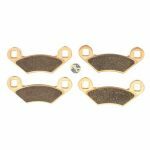 2008-2010 Polaris Sportsman 400 4×4 HO Rear Severe Duty Brake Pads $27.95 with Free Shipping!